GTA V is finally coming to the PC next week. After delay upon delay, it’s finally happening. While some PC gamers have already decided to give it a skip, many others are chomping at the bit, eager for the game to go live. In fact, it’s already at the top of the Steam sales charts, just waiting for the 14th of April to tick by so it can be unlocked. And it may have been worth the wait. For starters, it’s not a quick and dirty port of the console game, which is one of the reasons it’s taken so long. 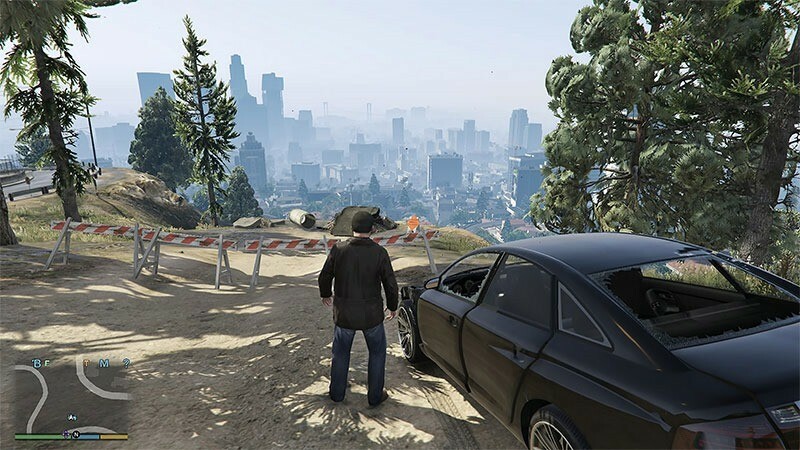 They’ve put a lot of care in to the PC version, which launches not only with a working Online Heists mode, but quite a bit more. For Pc gamers, one of the most important things is that the game is immensely configurable, and incredible scalable. You might not think it’ll work on your PC, but it probably will. How configurable? Here’s a summary of the sort of options PC pundits will be able to tweak. Options for screen type, aspect ratio and refresh rate. Anti-aliasing: FXAA, MSAA and Nvidia TXAA supported. Pause game on focus loss. Scaling bars for population density, population variety and distance scaling. Texture quality: normal to very high. Shader quality: normal to very high. Shadow quality: normal to very high. Reflection quality: normal to very high. Water quality: normal to very high. Particles quality: normal to very high. Grass quality: normal to very high. Post FX options: up to ultra. Motion blur strength: scaling bar. In-game depth of field effects: on/off. Anisotropic filtering: up to x16 . High detail streaming while flying: on/off. The game will support higher frame rates than the console versions, along with ludicrous resolutions up to 4K. It even has 3D support, and with the new First-person perspective, I suspect it won’t be too long until somebody gets it working on the Oculus Rift. GTA V on PC also comes with a rather robust video editor, so expect all manner of video shenanigans soon after the game’s release.